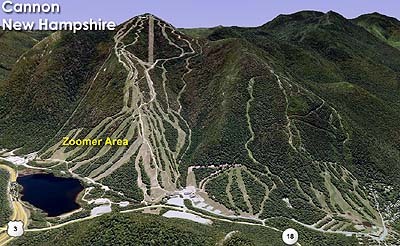 While skiers had traversed across the slope above Echo Lake to the tramway for years, there had only been one small (Banshee) rope tow complex in place. 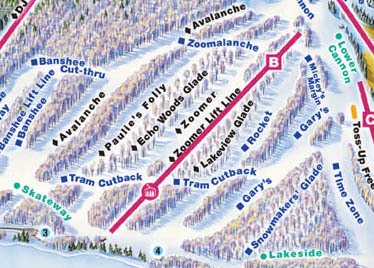 As part of a major expansion project, the Zoomer complex was built in 1962. 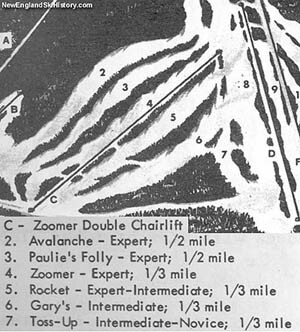 Along with the Peabody double, the Zoomer double was the first chairlift in Cannon's history. 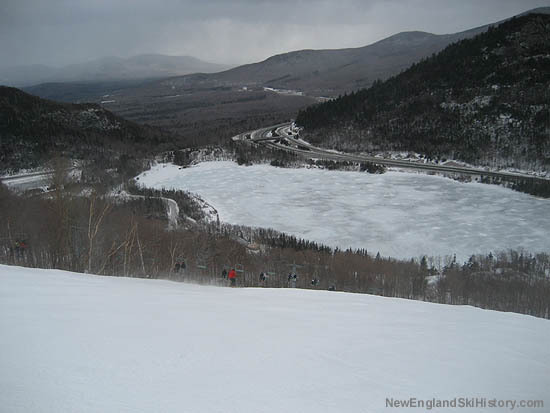 This 1,800 foot long Roebling double climbed skier's left of the Zoomer slope from near Echo Lake to the Peabody slopes. 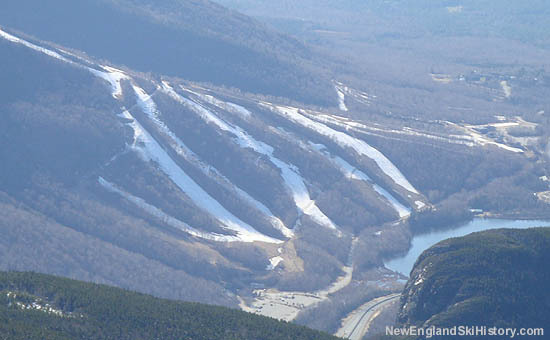 In addition, a 1,500 foot long T-Bar was installed on the Banshee slope. 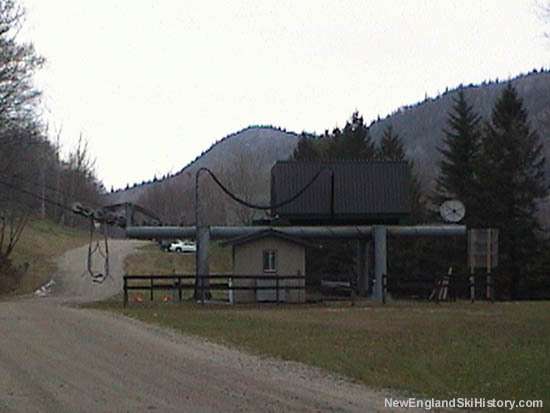 This T-Bar was only used for a decade or two.